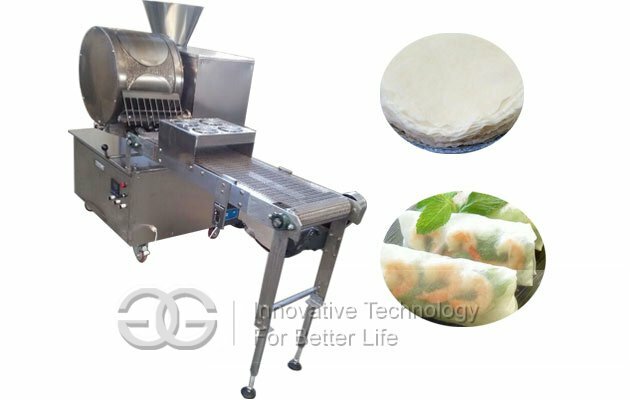 Automatic spring roll pastry sheet or lumpia wrapper making machine is easy to operate,one work can complete production,with novel product design and reasonable structure. 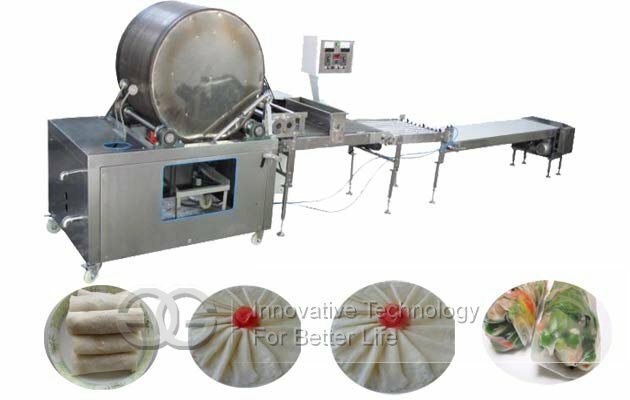 The Stainless Steel Spring Roll Sheet Production Line is made of Stainless Steel; it uses flour as material, you also can addsome spice to make spring roll sheet. Operation is very easy and has high capacity! 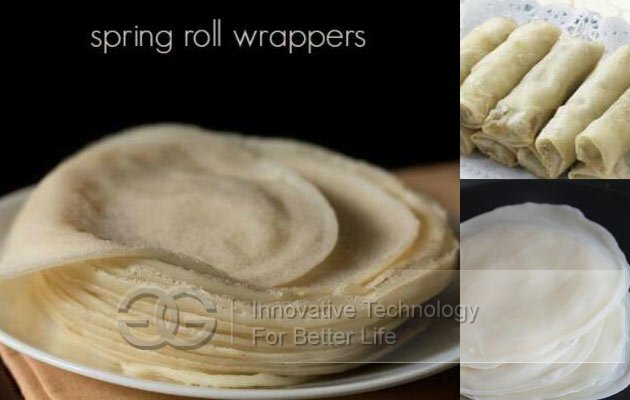 It can make round or rectangular(need Cutting Part) spring roll sheet. We can make new machines according to your sheet diameter. 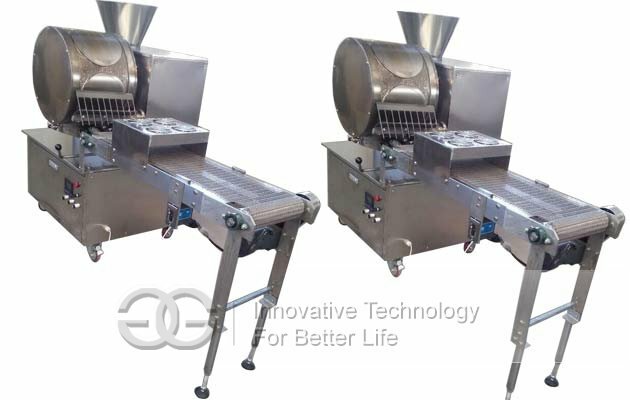 After the baking wheel is heated, the pulp is heated, the slurry is moved to the nozzle, and the clutch operating rod is operated to make the slurry adhere to the arc surface of the roast wheel. 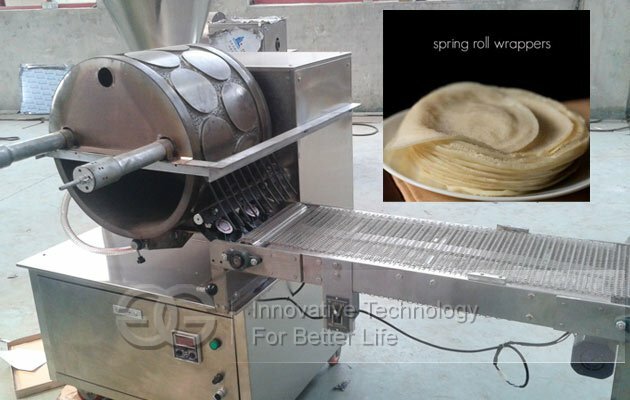 When the roast wheel is rotated, the pulp is cured and separated automatically from the roast wheel to form a fixed thickness spring roll or the roll of spring rolls immediately. The heating way of the baking wheel is divided into electric heating and gas heating, which are for users to choose.